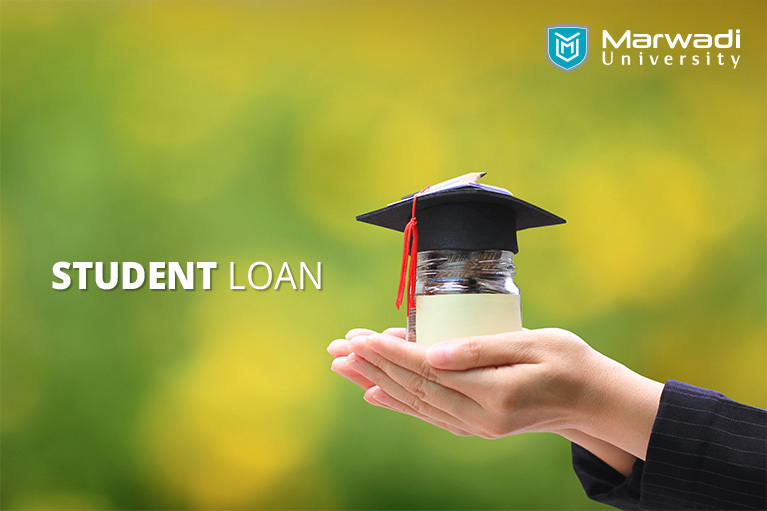 Students can avail their student loan for professional education at Marwadi University using the bank loan facility from leading banks. Banks only sanction loans after compliance with the required standards and procedural formalities. Special arrangements have been made by Marwadi University with State Bank of India, Bank of India and Central Bank of India, HDFC Bank and other private banks for the speedy sanctioning and dispersal of educational Loan for admission of students. Engineering, medical, farming, veterinary, law, dental, computer, and management, etc. Over Rupees 7.50 lakhs: collateral securities equal to 100% of the loan amount. No pre-payment Credit Delivery Loan can be used from the branch closest to the parent/guardian’s permanent residence. Simple interest to be charged during the study period and up to the commencement of the repayment. Students discontinuing or expelled from the institution for disciplinary or academic reasons. However, the subsidy would only be available for the actual study period if the discontinuation with the necessary documentation is due to medical reasons. Stays updated to the latest news on Marwadi University by reading our blogs or visit our website for more information. And, also for applying loan, please contact admin department.